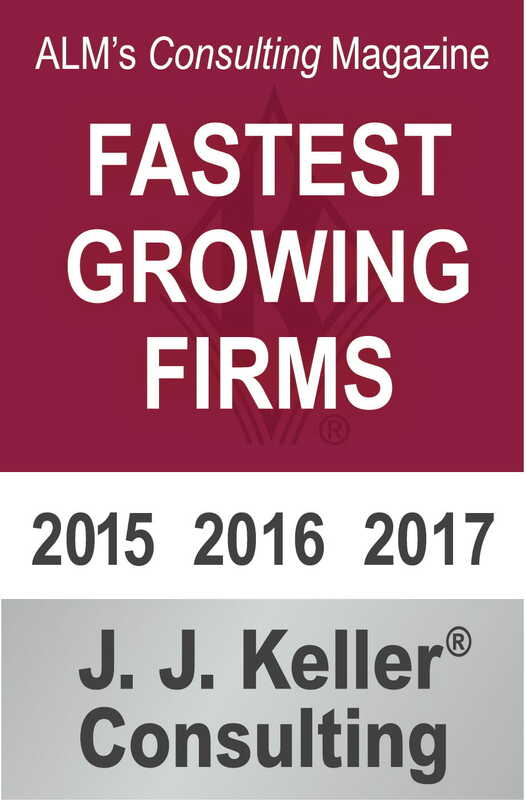 Neenah, WI - ALM’s Consulting magazine has named J. J. Keller® Consulting to its Fastest-Growing Firms list for the third consecutive year. The company offers consulting services in the areas of transportation, workplace, and hazardous materials safety, as well as environmental and employment law compliance. Consulting magazine’s list honors consulting firms of all sizes and from all sectors. Firms are ranked by their growth between 2013 and 2016.